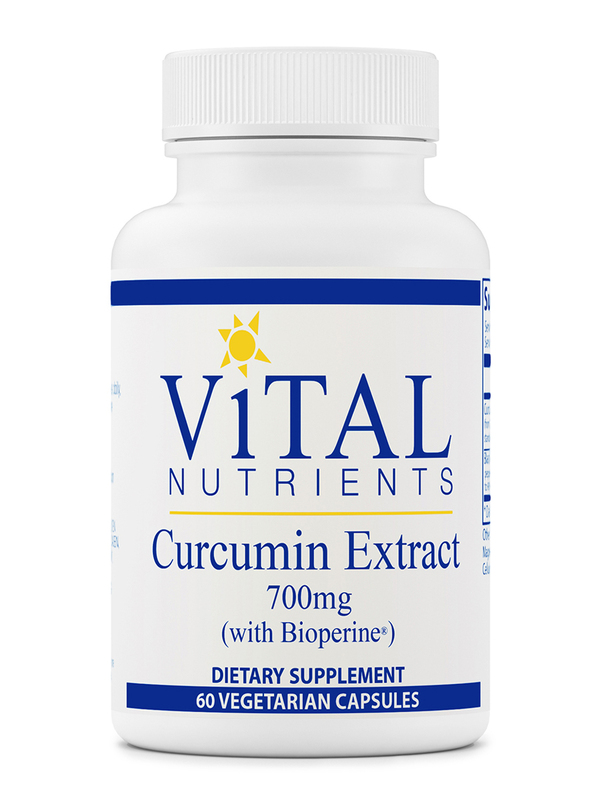 Curcumin Extract is a potent antioxidant‚ depletes substance P‚ and helps maintain platelet aggregation levels that are already within normal range. 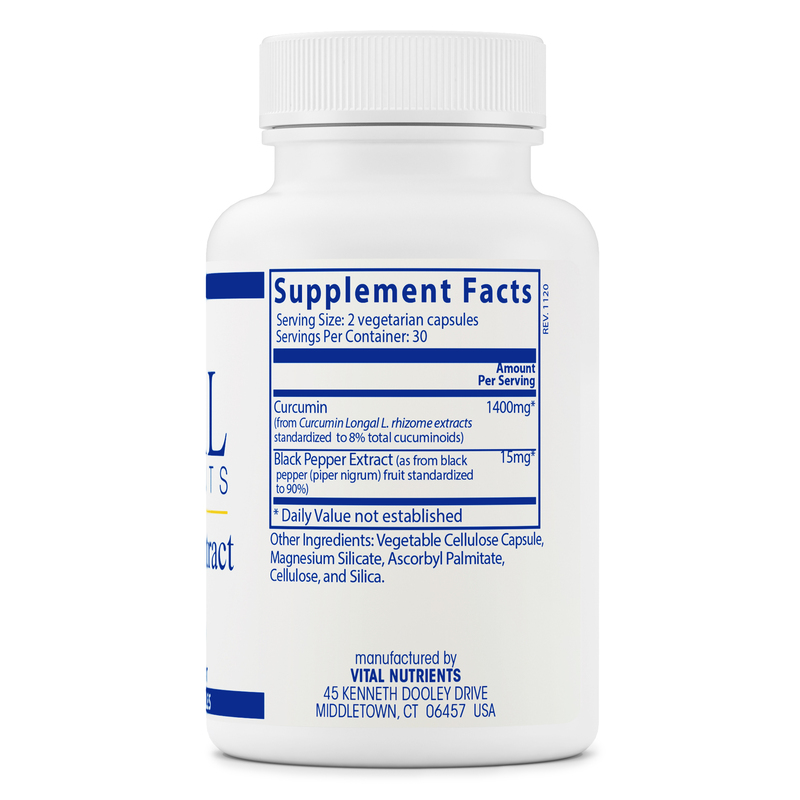 It also supports arachadonic acid metabolism. The addition of piperine increases the bioavailability of the Curcumin by 2‚000%. 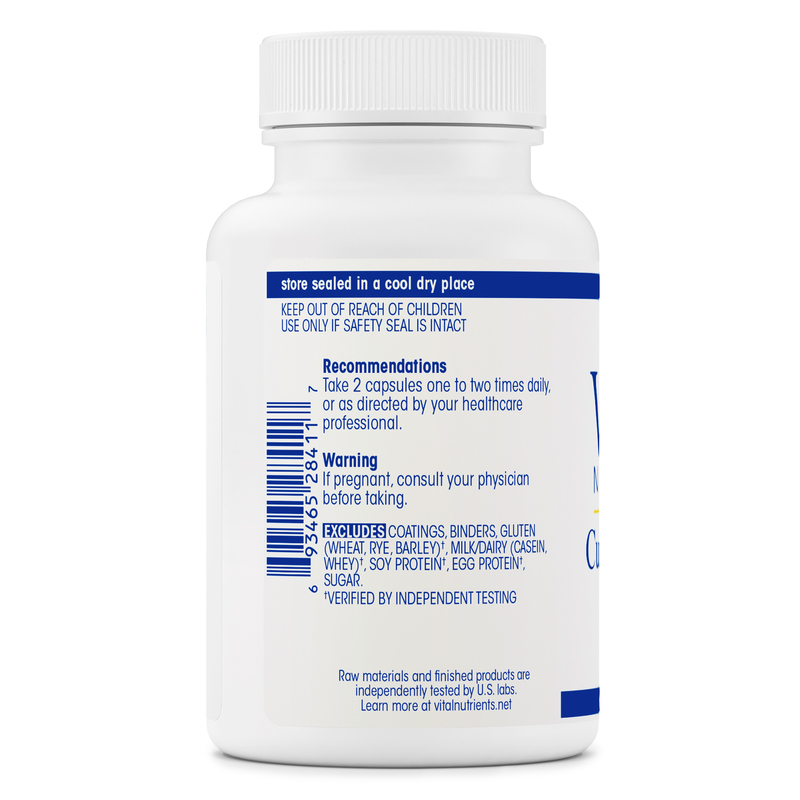 Other Ingredients: Vegetable cellulose capsule‚ magnesium silicate‚ ascorbyl palmitate‚ cellulose‚ and silica. Excludes: Coatings‚ binders‚ gluten (wheat‚ rye‚ barley)†‚ milk/dairy (casein‚ whey)†‚ soy protein†‚ egg protein†‚ sugar. 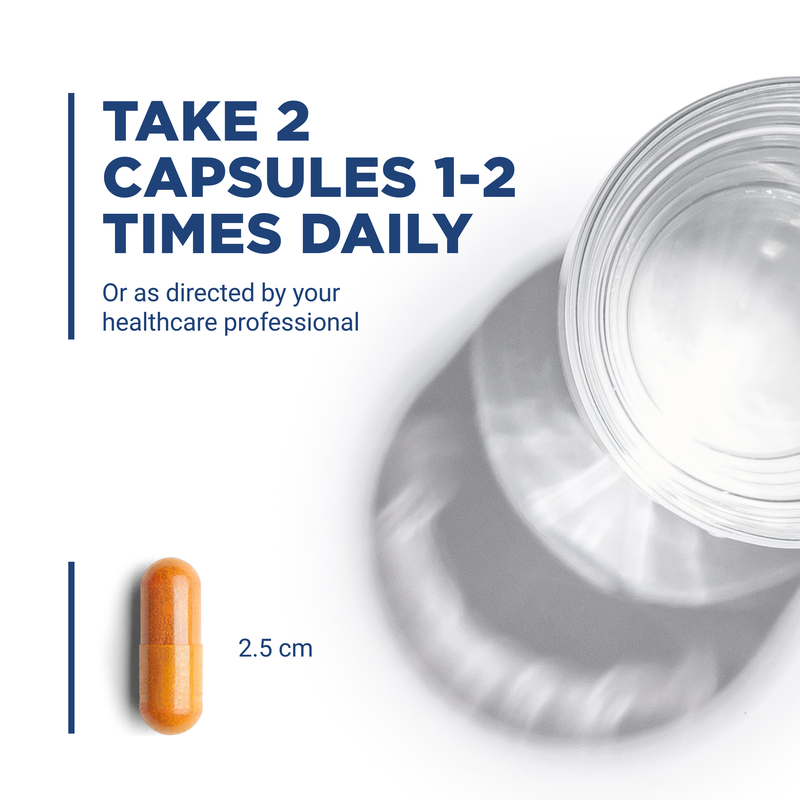 1-2 capsules twice daily‚ or as directed by your healthcare professional.